I can’t believe that this year is coming to an end so quickly and I am not ready for the holidays yet. I think I need another week to get ready. I am sure many of you are in the same boat. I just ordered my Christmas cards (I have never ordered them this late). I hope I get them in time. At this rate, I might be sending out Happy New Year cards instead. I still have gift wrapping to do and I need to finish decorating, both inside and out. Plus, I have to write a holiday food shopping list and call in my fish order for Christmas Eve. And last but not least, bring up my Christmas dishes from the basement so I can SET THE TABLE for the holiday. Yup, I need another week. On Wednesday I spent the entire day making 100 cookies for cookie exchange parties; and I had to have a quick dinner. 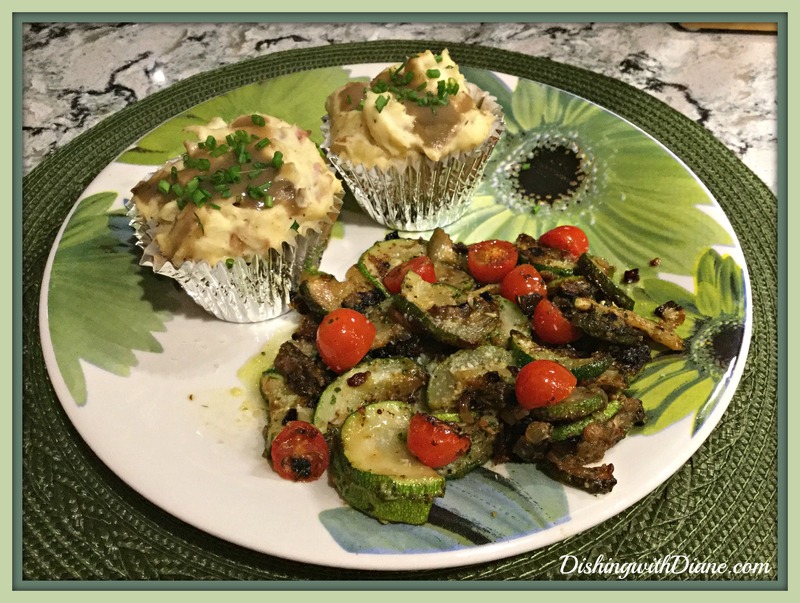 I didn’t want to order out so I made “Meatloaf Cupcakes with Mashed Potato Frosting” and a quick and easy vegetable side dish. I had some leftover mashed potatoes in the refrigerator so this dinner would be quick. While preparing dinner, I thought this would be a good recipe to share for anyone else who is looking for something different to serve for dinner as it gets closer to Christmas and time is limited. I wish I could say that I thought of this idea myself, but that wasn’t the case. It is a combination of two recipes I found online, one from “Key Ingredient” website and one from “Recipe Tin Eats” website. Both are very similar so I combined them to make it more to my liking. It is a really cute presentation and doesn’t take that long to prepare. And if you happen to have leftover mashed potatoes, you are already half way done. I don’t make the meatloaf cupcakes the same way I make regular meatloaf. 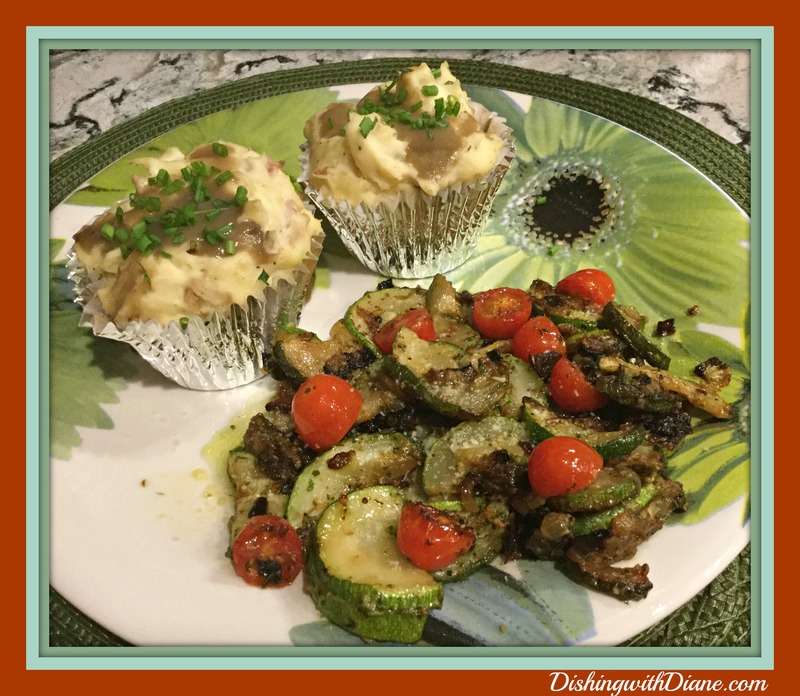 This recipe calls for grated zucchini and ketchup; two ingredients I normally don’t use in my meatloaf. The good thing about the meatloaf cupcakes is that they cook in 20 minutes as opposed to the hour for a regular meatloaf. The same 20 minutes needed to prepare the mashed potatoes. I always have ground beef in the house and I just happened to have zucchini as well, so this was coming together nicely. Since I didn’t use all the zucchini for the cupcakes, I sauteed the remaining zucchini with grape tomatoes, basil and lots of garlic for a side dish. Give this recipe a try...I think you will really enjoy it. This recipe also calls for 1 tsp. dried thyme and 1 tsp. dried oregano, but I choose not to use either spice. Feel free to include them. Line a muffin tin with foil cupcake papers or spray with cooking spray (this recipe usually makes 8 cupcakes). 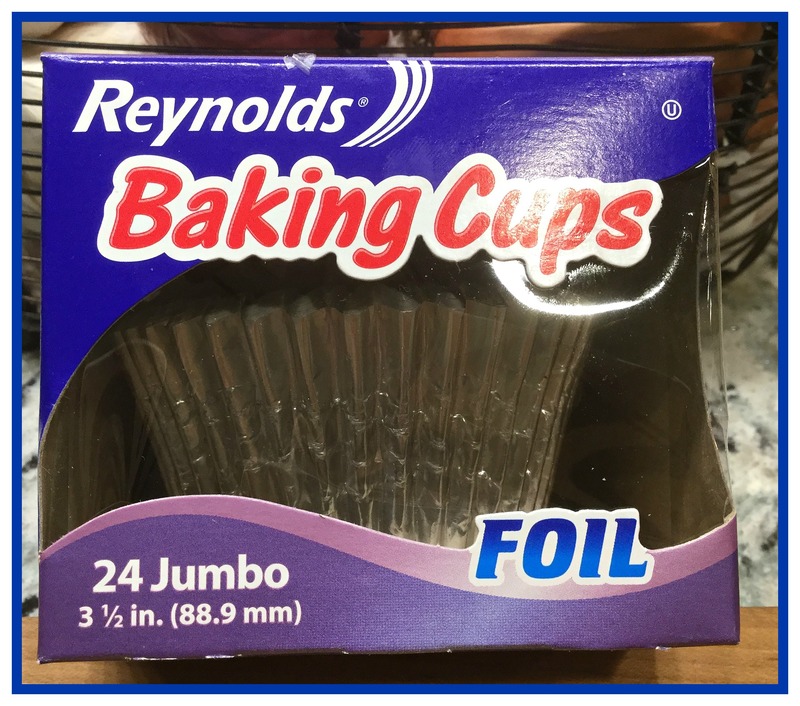 COOKS NOTE* – For this recipe I use Reynolds jumbo foil baking cups in my muffin tin. In a real pinch, if you don’t have a muffin tin, you can place these baking cups directly on a cookie sheet and bake. In a large bowl mix the drained zucchini and grated onion. Bake uncovered for 20-25 minutes or until brown on top and cooked through. After 20-25 minutes, remove from the oven. Mash with a potato masher or stick blender until smooth- not too much or they will get gummy. The potatoes need to be creamy but still able to hold it’s shape when either piped or piled on the meatloaf cupcakes with a spoon. Top with gravy and fresh chives. Add extra butter and heavy cream if needed to make the potatoes smooth to your liking. Piping the mashed potatoes on the meatloaf cupcakes looks fantastic if you are serving guests, but I usually just add a dollop of potatoes with a spoon on top of the meatloaf cupcakes when it is just me and Bob and then garnish with gravy and chives. This entry was posted in Beef on December 12, 2015 by aries041158. Only you could make meat loaf and mashed potatoes….adorable!